If you wer e to see your neighbor spraying down his house with a hose everyday, you might question why. Having a spray-type sprinkler system installed in close proximity to the exterior walls of your home is not much different. Constant overspray from sprinklers can cause moisture to migrate through the walls of your home and inevitably into interior building materials. Drywall, baseboards and other building materials can become elevated with moisture and potentially help support mold growth. Solution: To prevent this from occurring, simply do not allow your sprinklers to overspray onto exterior walls. 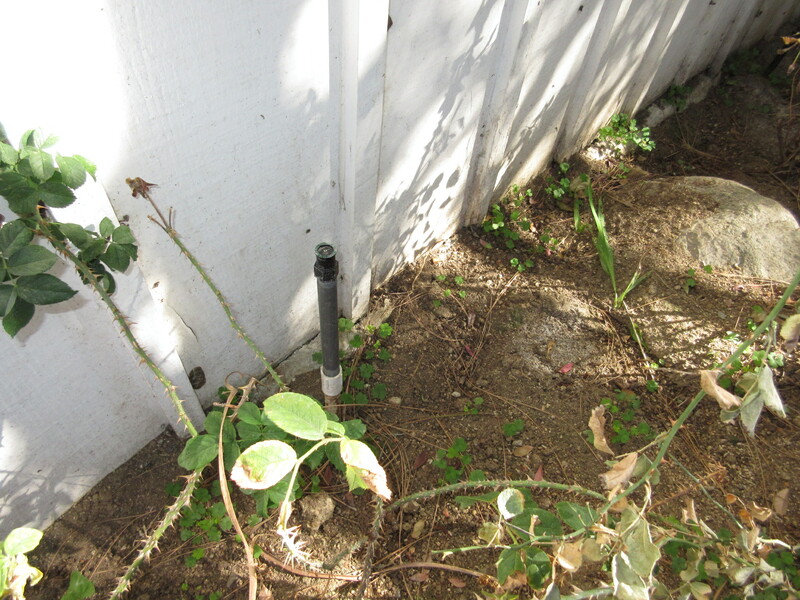 We recommend installing a drip-system in areas that are near exterior walls.  If this is not an option, the next best thing is to ensure that the sprinklers are spraying away from the building. 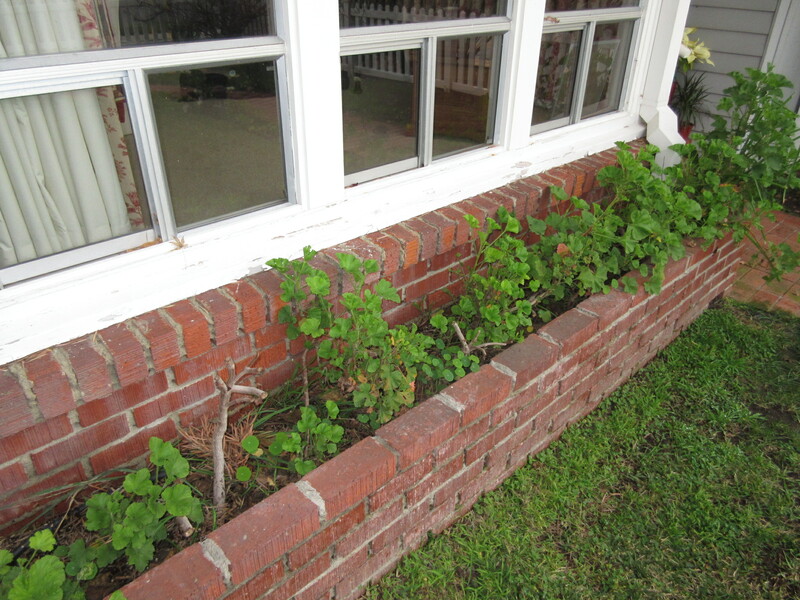 Similarly to the sprinklers, planter boxes located in close proximity to exterior walls can cause the same problem. If the soil is consistently damp and in direct contact with the residence, it can eventually cause a moisture intrusion. Even more so, roots of some plants can crack and/or penetrate walls. Any small intrusion is now a pathway for water to migrate easily through. Solution: The simplest way to prevent moisture intrusions from planter boxes near your home is to not have any at all. If you insist, make certain that the planter boxes are professionally water proofed. Also, it is recommended to use plants with low water consumption such as succulents. Rain that falls from the roof may splash up onto exterior walls similar to sprinkler overspray. Large amounts of water are likely to pool near the walls of your home and possibly cause migration into building materials. 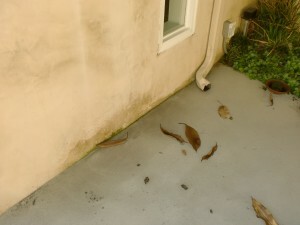 Solution: Effective rain gutters involve four proper steps. First, rain gutters need to be installed on the residence in all appropriate areas. Secondly, ensure your rain gutters are clear of all debris to allow a steady flow of water. Thirdly, rain gutters should to be connected to downspouts. Lastly, downspouts should be connected to drains or at least have an attachment to redirect water away from the structure. Weeps screeds do exactly what they are designed to do: weep water away from the structure through a series of holes. 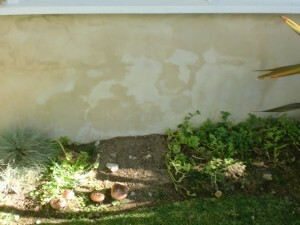 They are installed at the base of stucco walls to allow excess moisture to escape the back of the stucco membrane. 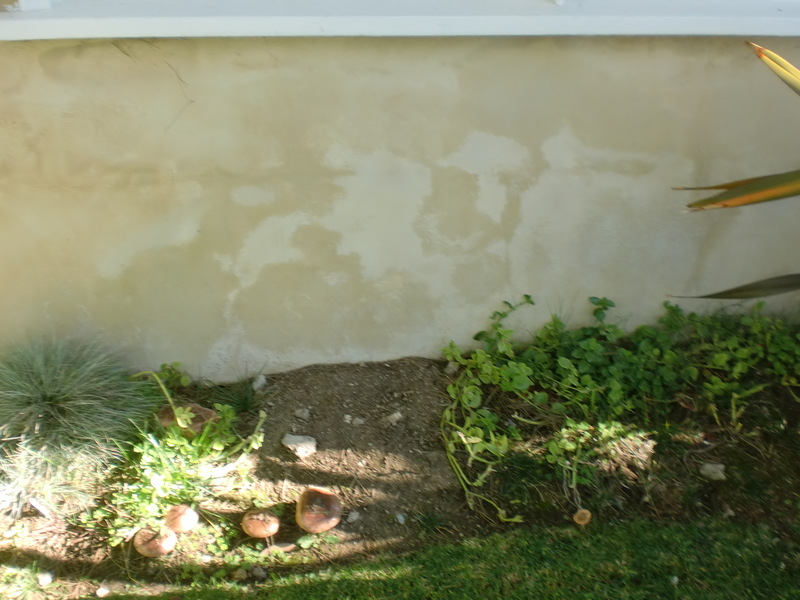 Stucco is a porous material that will absorb moisture and without a way to escape, trapped water can lead to mold growth on building materials. Solution: Ensure that the weep screed around your house is clear from ground covering, soil and vegetation. Provide a gap between the weep screed and the ground covering to allow moisture trapped inside exterior walls to drain out properly. Structures built on a sloped hill can present challenge problems. Rain and other water runoff will move downhill where it may pool next to or come into contact with your building. Enough water migration can cause a moisture intrusion and may lead to mold growth on building materials. 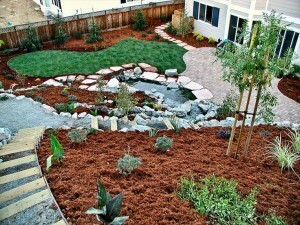 Solution: Have an appropriate landscape design that will redirect water away from your building. 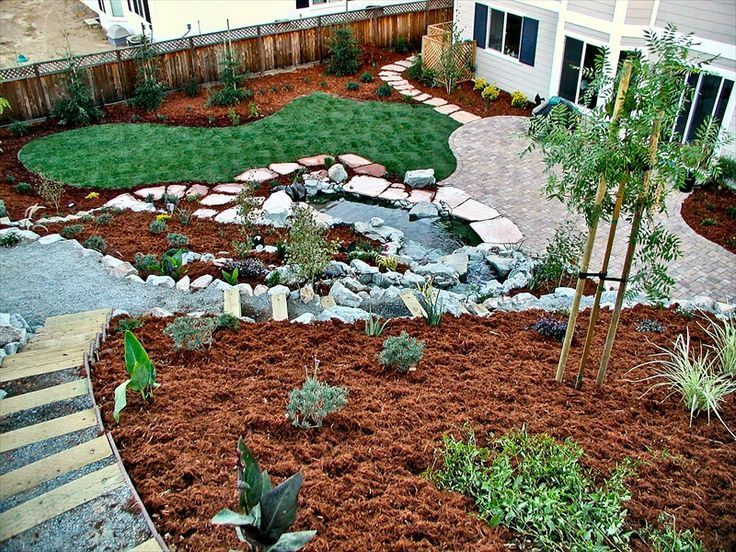 Ensure that appropriate drainage is installed around the exterior of the structure.